Full of life it was…I had to get used to the idea of either using and replenishing or tossing a little to feed it. I even had two jars going so I’d have a back-up. But I’m working from just one jar now. My original inspirations and methods were sparked by Audra at Girl Meets Dirt. She has a very informative post to read word for word. She’s made some beautiful bread. 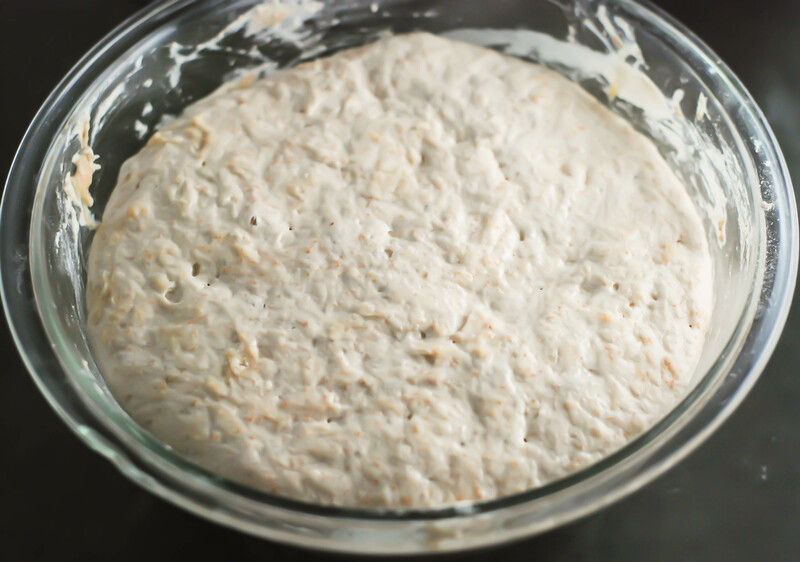 I also refer to this simple recipe from Stone Soup blog – rustic sourdough. I somewhat sacrificed my Creuset dutch oven, unintentionally. 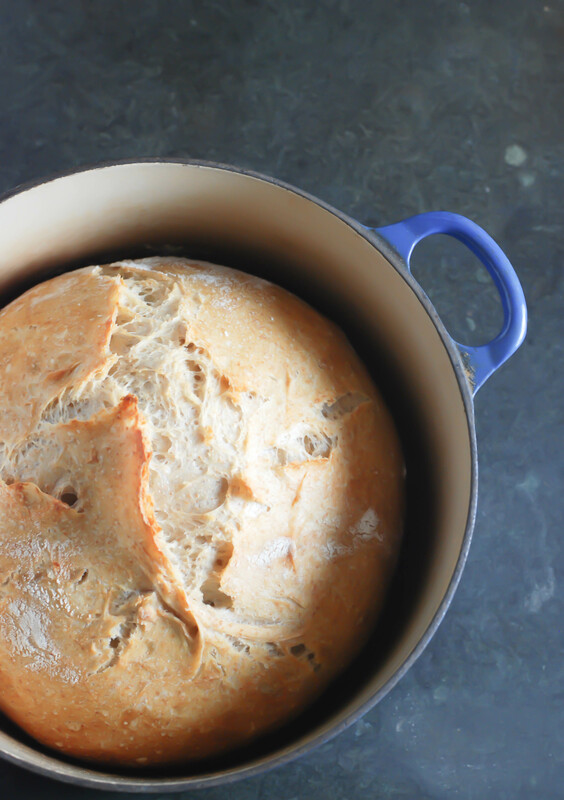 I do believe a dutch oven has been one secret to success. I would also buy a cheap one if I was starting over. It really only takes one baking round at 500° to toast and speckle it black inside and out. But the enamel has not cracked and the handle has not melted. I start the night before by weighing all the ingredients… Check out Stone Soup. Sometimes I’ll use 20% whole wheat. So 65 grams of whole wheat bread flour and 260 grams of unbleached organic white flour. I tend to keep a fairly hydrated starter. You can see the consistency here- it’s practically pourable. Here is a site that explains in detail about hydration. I have a broader sense of hydration and just sort of eyeball it. I might get more into it if/when I’m ready for the next learning curve. I just bring the ingredients together with a spoon. I let it do its thing overnight. 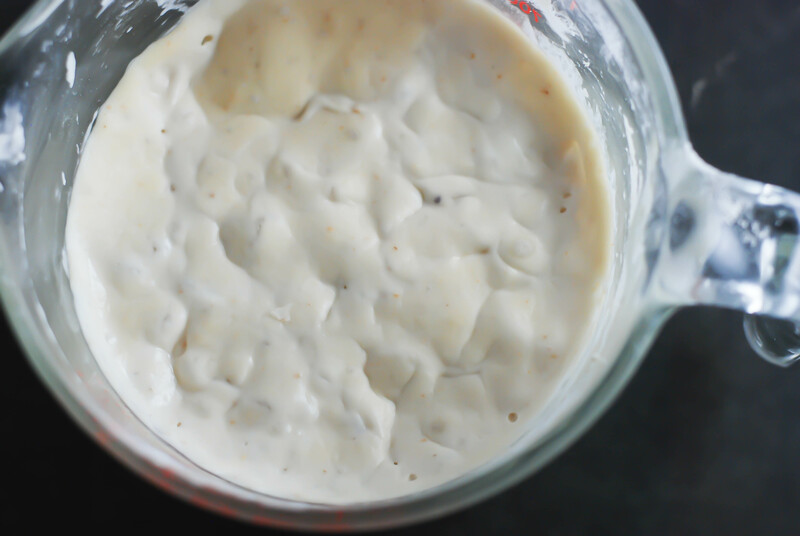 And when my starter has had regular attention it will go something like this-bubbly and alive. When not, I just try to give it a little more time to develop. 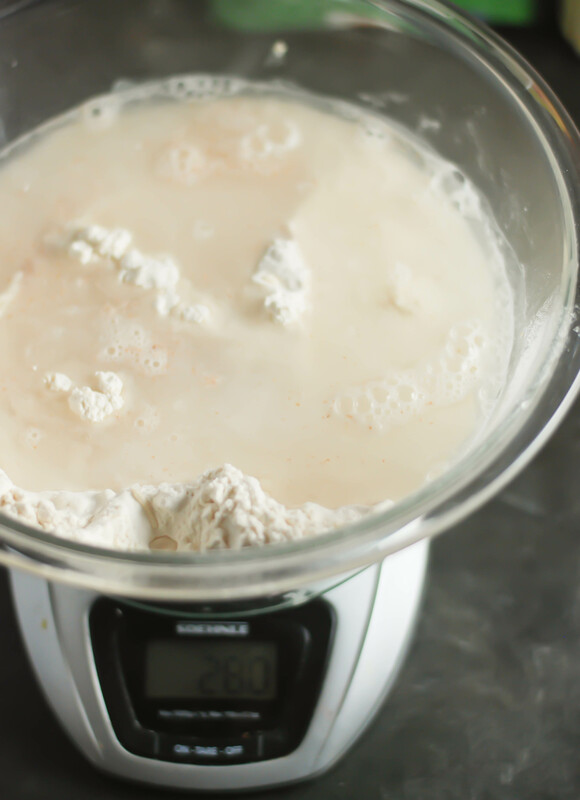 I have also just started with a sponge and it too is happy when the starter is- The sponge is just the starter with a portion of the flour added to work a little before the rest of the flour and salt are added. Sometimes I skip the sponge. I love to make bread on a day off and just do the turns every 45 minutes or so- I go for 3-4 total. 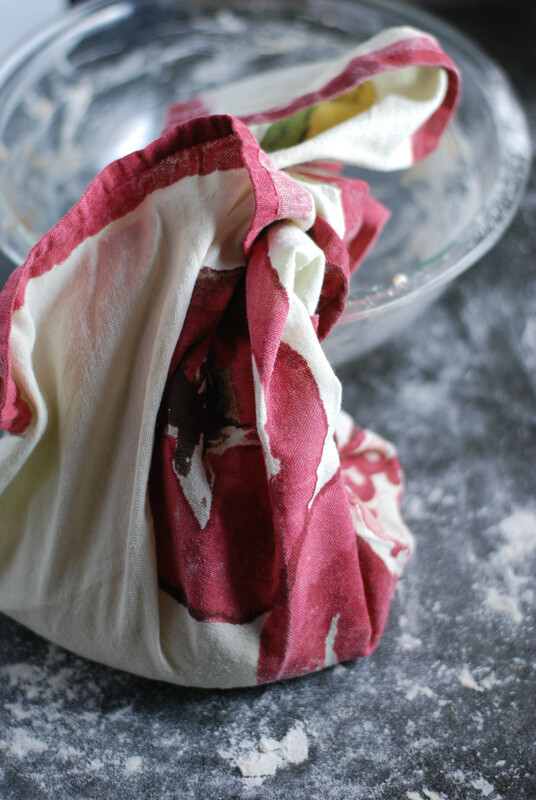 After the last turn I put it in a clean, floured tea towel. Or if I want to make it during the work week- I’ll do it in stages over a couple days in and out of the fridge and it will get nice and sour. The trick, I think, is not to be in a rush. 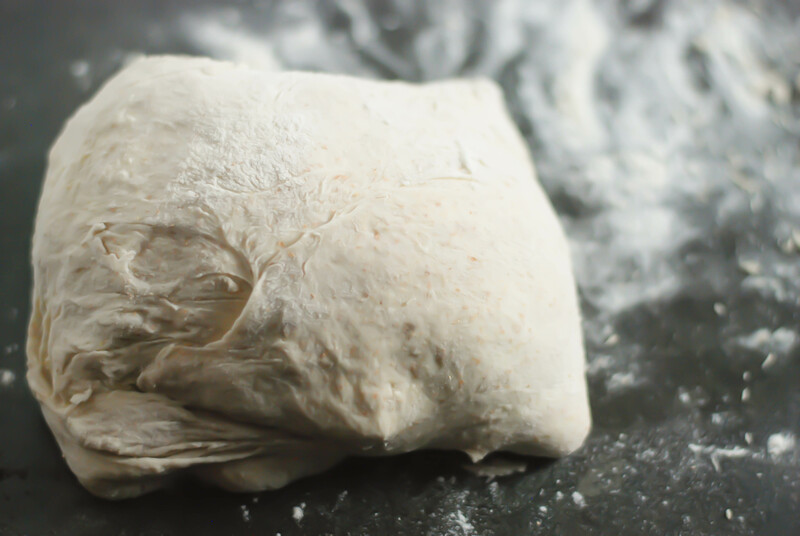 I wrap it up in the floured towel for a final rise for an hour. During the last 30 minutes I set the dutch oven in the oven and put it up to 500°- My oven temp can run a little under- so I might vary 25-50 degrees. 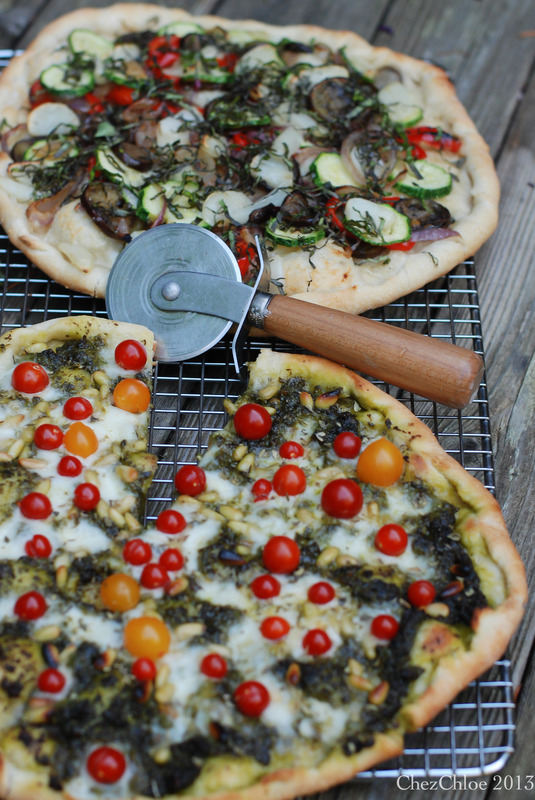 And this… sourdough pizza crust cooked on a stone in my gas grill at about 500+°- SO GOOD! It was last summer with all our garden veggies for toppings- you may see this again. You will see this brown liquid forming- just a little alcohol and acetic acid. If it’s pink and stinky you are in trouble and it may be time for the garbage disposal funeral. The King Arthur site has some good info here. And it really takes some serious neglect to do it in. When we are in gluten free periods the starter gets a little put off. 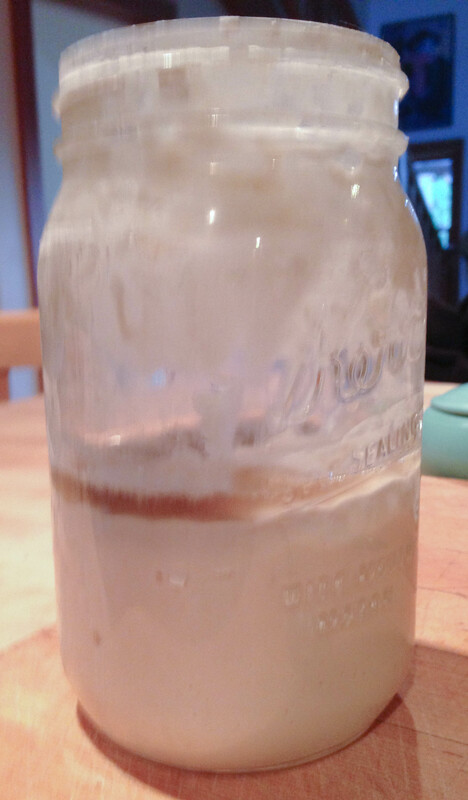 I take it out for a night- drain the liquid off the top and let it get good and warmed up say overnight. Then I leave about a cup of starter and feed it for a couple days. 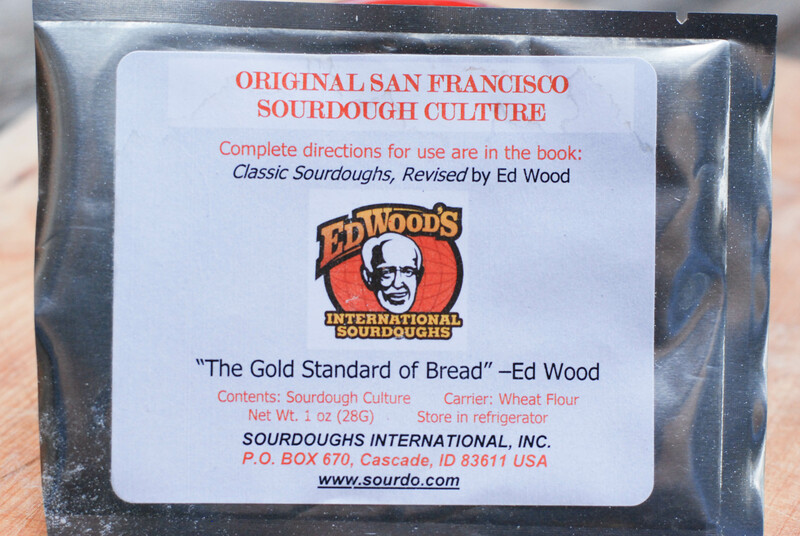 Sourdoughhome.com is another valuable resource. Here’s the latest loaf after a little starter revival..not too shabby. Every now and again a bread loaf. But I just can’t get the same crust. And we are so spoiled. This one was particularly holey. 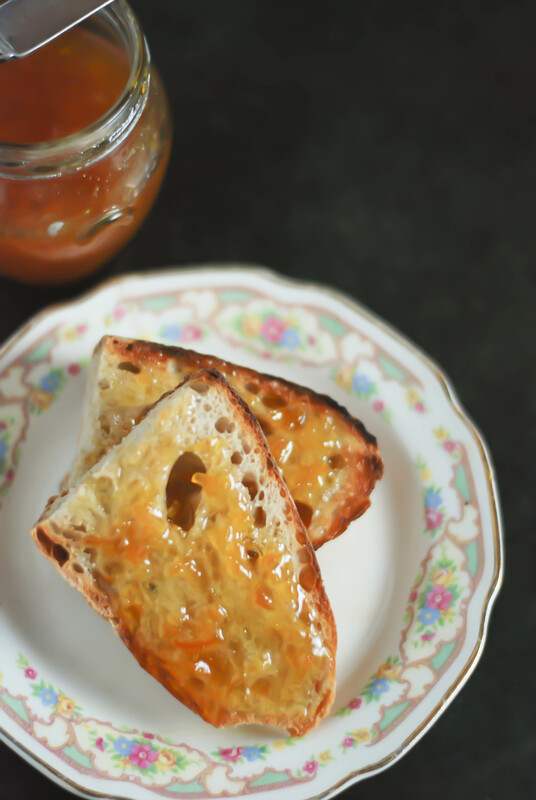 It toasted up nicely with some homemade orange marmalade Last but not least – I want to give you a link to a woman in the UK- She offered kind assistance when I first called for starter rescue help. I love her recipes and philosophy. 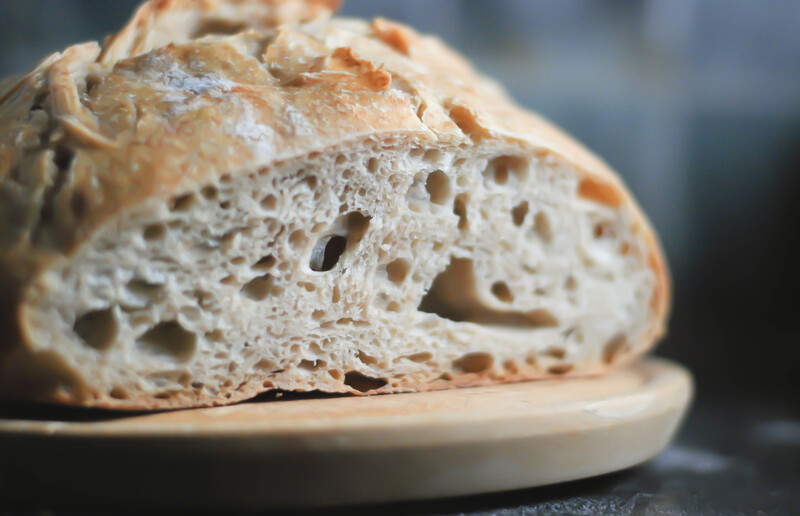 A good place to start on her site is with an informative post on why sourdough is easier to digest than “healthy” store bought bread. 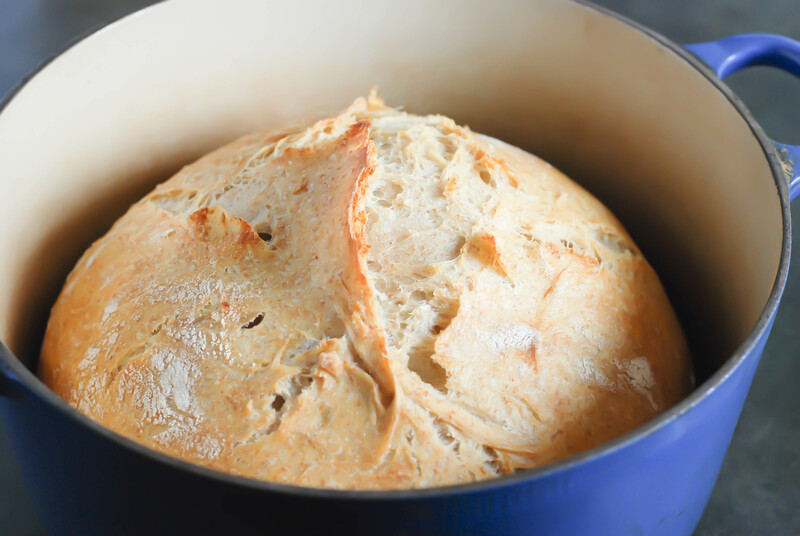 This is simply magic as it’s the bread’ smell when it’s ready… I am in love with sourdough so it’s pretty easy, but thanks for sharing your experience and amazing results… Have a nice day! I love that smell when it’s just about done and starting to brown on top. It took me a long time to find that magic! Sound mad? Probably is. I hope I’ll get over the laziness! Thanks, Wendy, I know I will definitely try this, even if it’s not tomorrow. I’ve bookmared your post and all the helpful links already. My starter, starved for attention, has been staring at me from our back ‘fridge every night when I grab drinks for the kids lunches. It has been at least six weeks since it has been fed, but you’ve inspired me to see if it has survived the abuse. The pizza pictures are what did it! Happy spring to you. Six weeks is nothing. 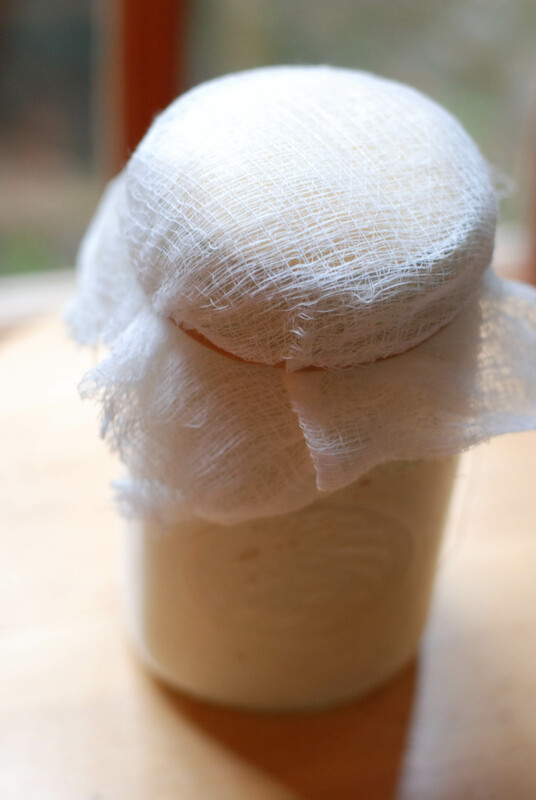 Just take it out overnight and let it warm up- toss a little and start feeding your baby. It’s amazing how they come back to life. I think I’m going to go start some for tomorrow now. I love sourdough bread. Whew, what a lot of work and attention! You aren’t afraid to cook anything, and I admire that! 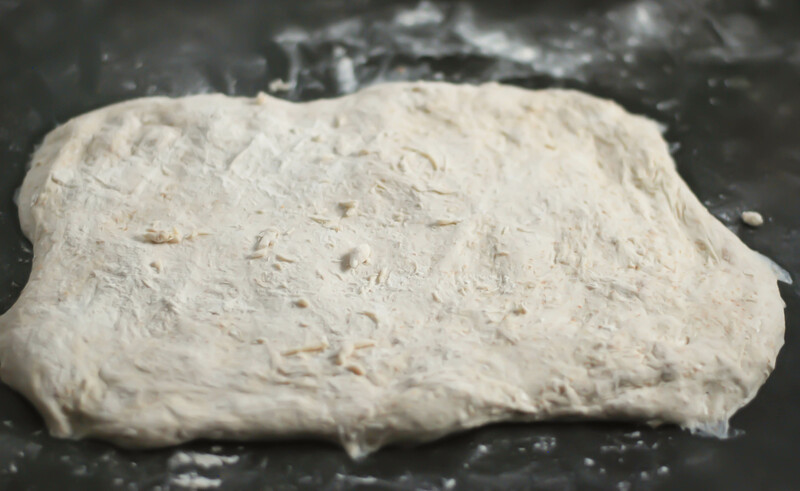 I have been making a lot of whole wheat pie crusts lately, and the hideous mess that come s with it. Hope all is well at Chez Chloe! Go google Ed Woods. Or Cultures for Health is good too. 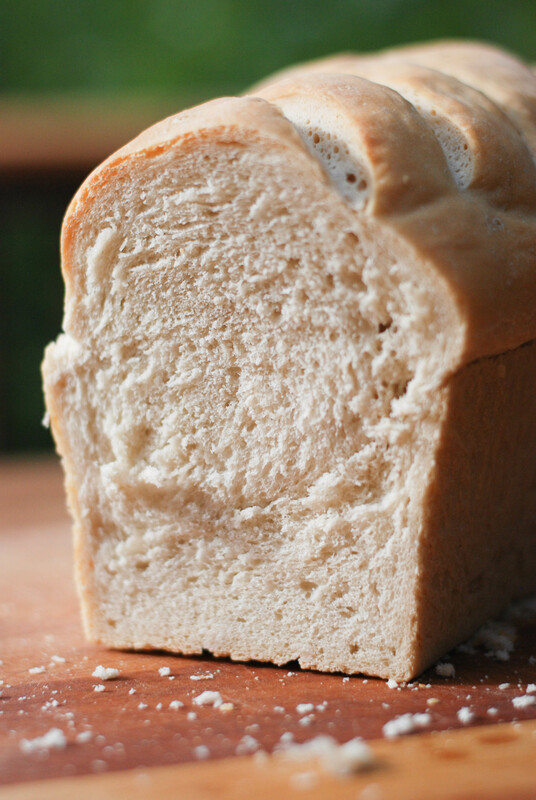 I think it’s actually a lot better for you that store bought bread. Or at least that’s what I tell myself despite the fact it’s mostly white flour (organic) that I like to put jam on (usually homemade). Best wishes on your run! Making bread is something that I’m really enjoying lately, is so relaxing! 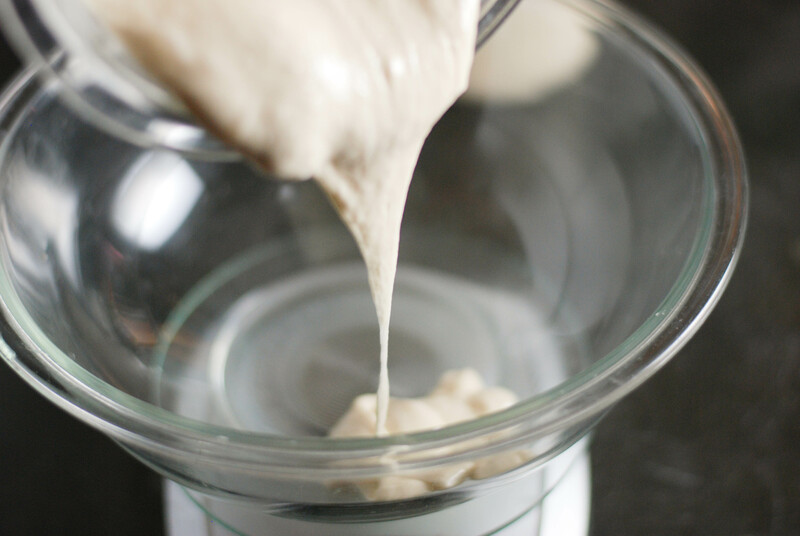 Right now I’m using the regular fresh yeast, I was afraid to not being able to manage it, but since even my mum has become a huge fan of sourdough as well, I’d like to try… your year in sourdough looks as an amazing and tasty adventure! YUM. I’m about to leave for two months again but when I’m back in July, I’m trying this, then coming into the shop to pepper you with questions. And then hiking up and down the mountain 16 times b/c i will have eaten an entire loaf of bread…. Such a delicious post Wendy and so much care has been given to your beautiful bread & sourdoughs. I would gladly stand in a queue for either of these wonderful loaves in the morning. They look that good! Your breads are gorgeous. I just read your post slowly and carefully, and I want to read it again. Seems like such an art to nurture a starter and follow through to the end resulting in these beautifully crusty breads. Very inspiring. Oh dear. 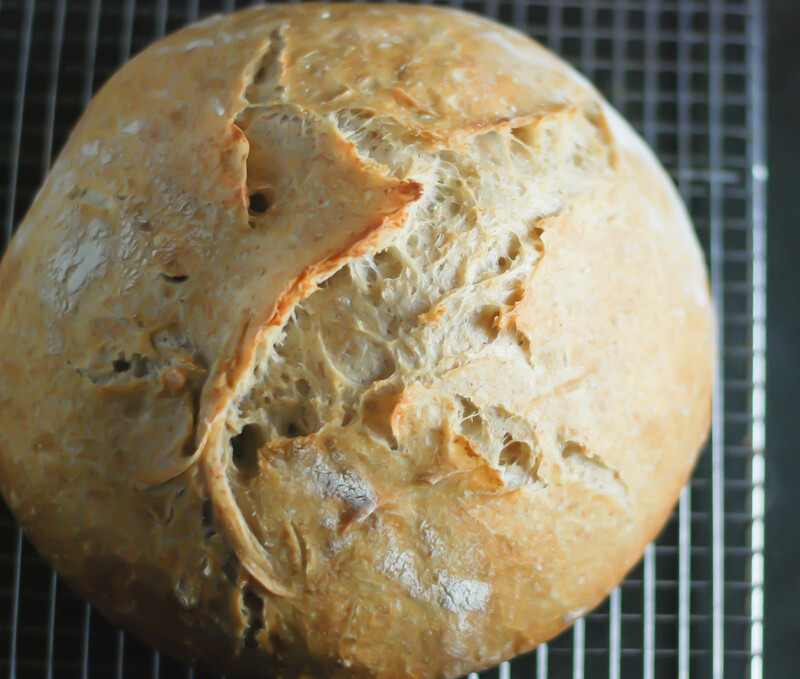 I love sourdough bread and I love baking my own. You have motivated me to start a new starter. 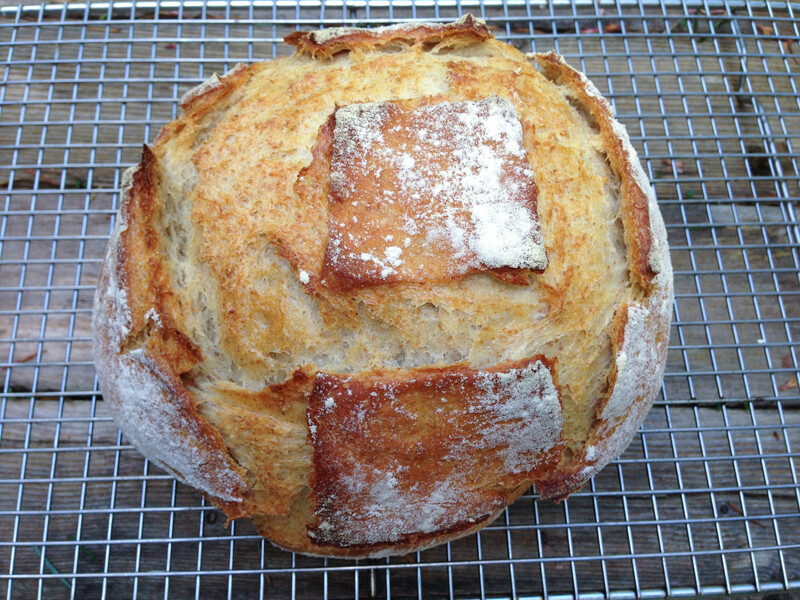 I learned to bake bread in a wood oven as a small child. It was something we did every week. I forget about baking my own sometimes, but you have just gotten me inspired. My family loves when I bake our bread so this will be fun. It’s such a nice tradition. I love how it makes the whole house smell. I imagine the smell being one of those memory triggers. I’d love to have a wood oven. 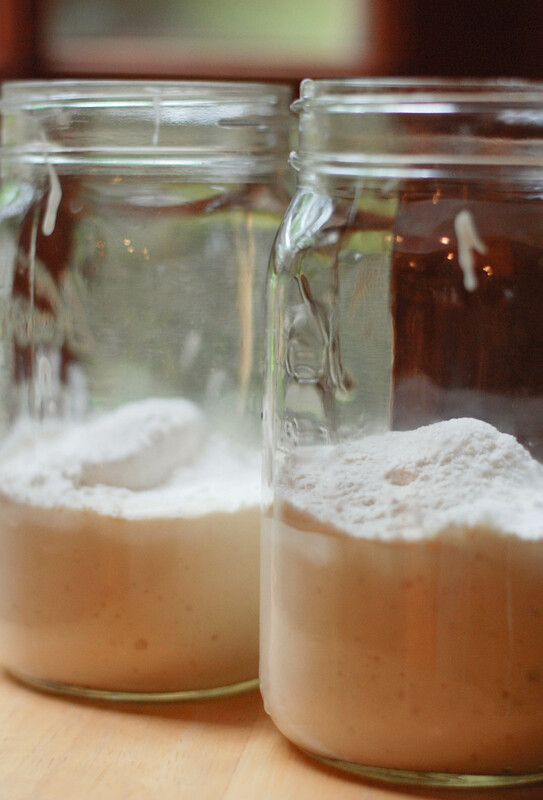 Wendy, I’ve always wanted to make a sourdough starter but I’m intimidated by keeping things alive (plants, children, etc). 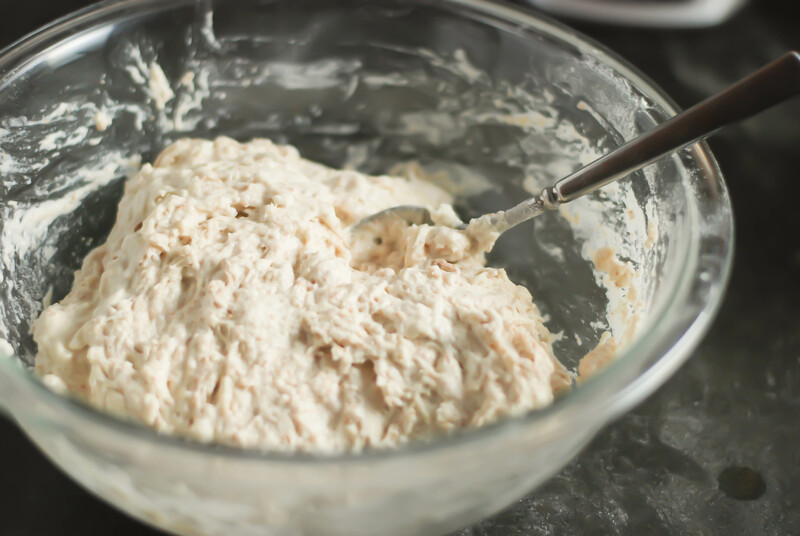 I love the beautiful photos you have here and all of the bread you’ve baked with your starter looks incredible. 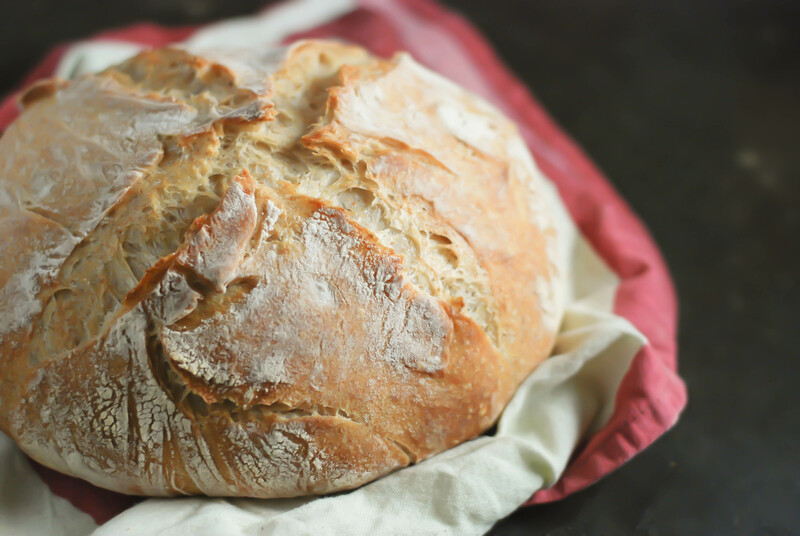 Nothing is better than homemade bread. I love all the links to other excellent posts you include here. Pinning so that I can use this as a future bread reference! 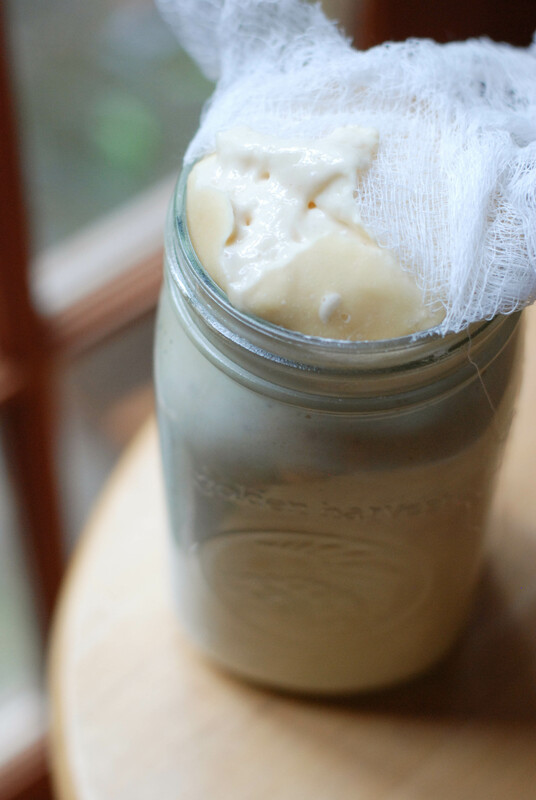 I tried making a sourdough starter once but it was too much for me to handle! I was so worried I was either going to kill it…or kill myself by letting it get moldy without realizing. I better learn how to feed things appropriately before my baby comes. Maybe I should give it all another shot because your bread looks so delicious! Definitely give it another shot. 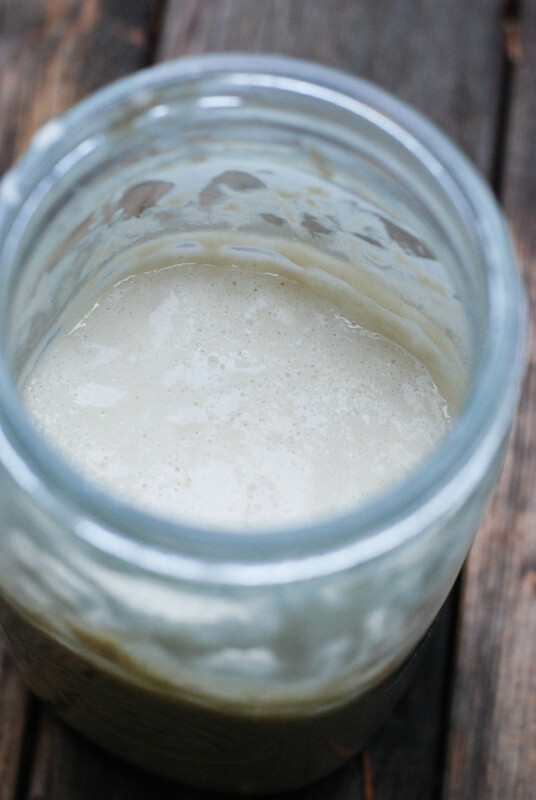 I’ve never heard of anyone getting sick from sourdough… or any fermented food for that matter. It’s lovely to have around for a few days for toast with jam and toasted tuna melts, oh and fried egg sandwiches- maybe I need to make some more this weekend! You know sometimes it’s about timing. I had that experience recently. It was a pretty familiar topic on juicing but all of the sudden it clicked and I was like- hey I can do this. cheers! 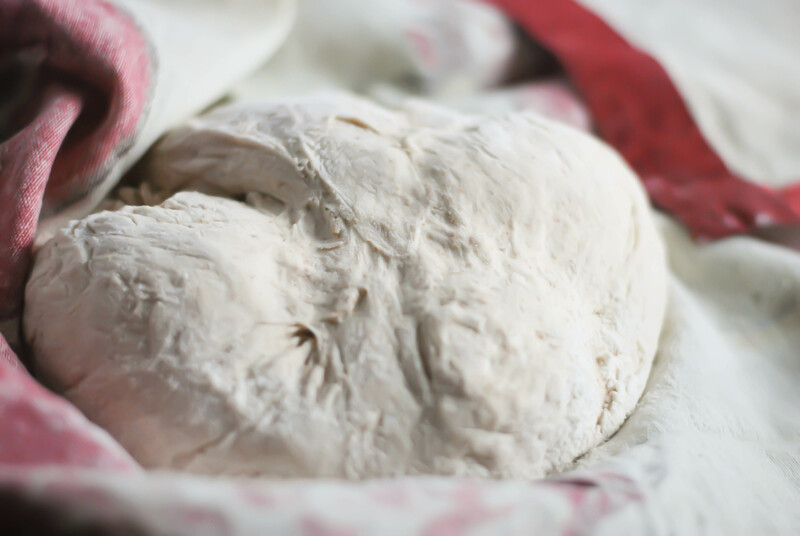 I really like the idea of sourdough pizza – your post are really tickle me to start baking on a serious level, but I know better than so. I love toasted or grilled sourdough bread. Beautiful post – as always and the photos …. just so fantastic. It needs far less care than anything else in our household! I will feed it for days at a time and then nothing for a month or two and it gets sad, lonely and needs extra TLC before I use it again. But really it’s quite hardy. Using it once every week or two is ideal but not always practical. Mine sometimes isn’t touched for a month or two, despite the neglect she keeps producing. You might just give it a try. Well I might have to rethink this if your starter can go untouched for a month. That is about how long we are gone when we travel to Europe. I’m happy you feel inspired… always the first step. I can’t wait to make pizza on the grill again. The high temp and hot stone cooks up a crisp crust that I just can’t get in my oven. The photo of your pizza had me headed in that direction, then repeatedly mentioning it just pushed me over the edge. I may even brave the fermenting sour dough but thst eould not be ready soon enough for the veggie pizza I am think of for tonite. Thank you for the menu ideas. Its all about the planning and the roasted carrot ginger turmeric soup is just what the doctor ordered. Thank you for menu and links. Have a fabulous Thanksgiving. Best of everything to you and yours.